"It was fantastic to work with Relevance. The team members are incredibly smart, they are savvy, their ideas and feedback were spot on and they really understood what we wanted to achieve. Overall, a great experience!" Kirk Owen, CEO Zenph Inc.
Zenph had 3 months to go from initial concept to public launch of their groundbreaking online learning platform, The Zenph Online Education Network, creating the perfect fit between teachers and students worldwide through live online music lessons. Relevance joined their team at the whiteboard to quickly sketch out an achievable plan, and within a week was building the initial release for their new business. 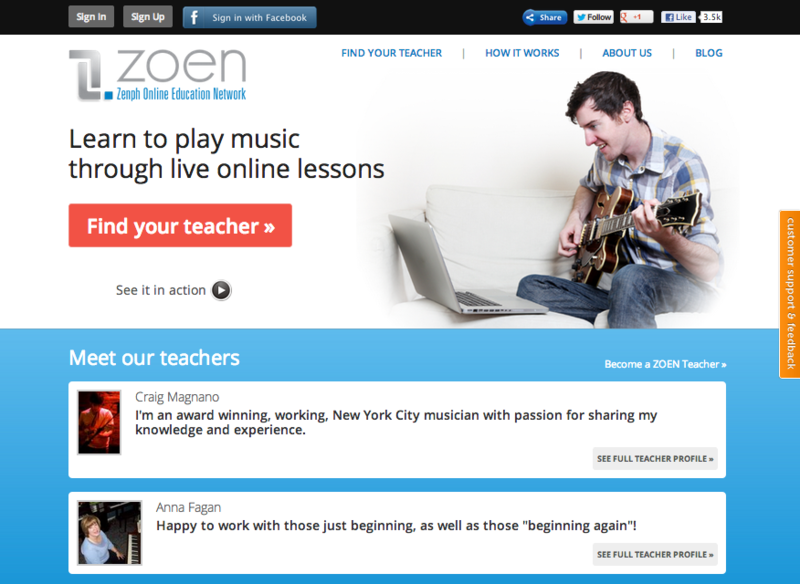 By designing a compelling user interface and integrating with open source web teleconferencing services, Relevance created a one-stop-shop for aspiring music students to seamlessly search for and find their perfect teacher, pay for and actually take lessons online using their web browser without requiring any additional software or complicated setup.